Learning that Moves with Students! Click the image below to enter the DLI Website! Our schools strive to provide students with daily access to technology. Daily access to technology supports anywhere, anytime learning and strengthens our focus on college and career readiness. Classrooms will look different in coming years. 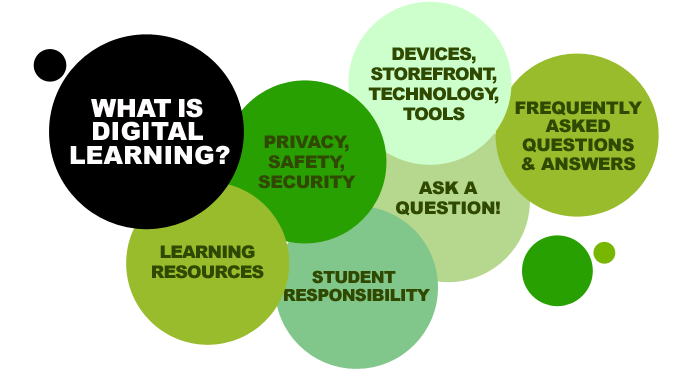 The Fisher Digital Learning Initiative is a parent-funded initiative. It was launched in the fall of 2016 when Fisher Middle School students began using Chromebooks for learning at school and at home. Any purchase by a parent is entirely voluntary, and not required. We have made plans for assisting families for which the purchase of this educational tool may pose a hardship. Student computers are a powerful tool that directly contribute to student achievement and digital literacy. This website is meant to be a resource for both parents and students and details how this initiative is helping students succeed academically as they prepare for high school, college and beyond.